The first trailer for Rampage is upon us! 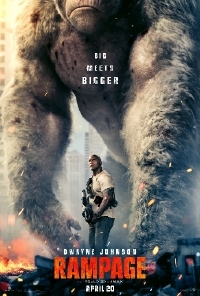 Based on the famous arcade game, Rampage stars Dwayne "The Rock" Johnson seen in the first trailer below. My god...movies are getting so awful. It looks like the Tetris movie may never happen. At least we have this!